He has a particularly strong background and focus on coral reefs, with recent work leading to the development of proactive management approaches for enhanced stewardship of these vital ecosystems. His early work quantitatively demonstrated that oceanic nutrient inputs to reefs are essential, but also provided some of the first direct evidence that ecosystem-scale recycling is an ecologically significant process. 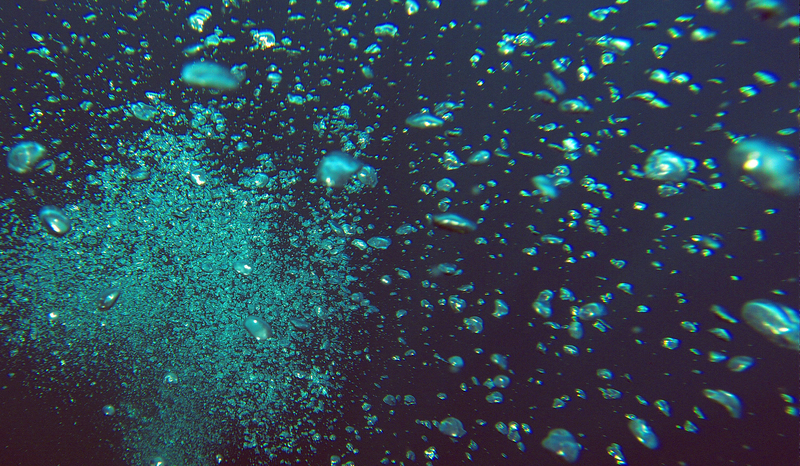 This research attracted a number of competitive awards, including the 2011 UNESCO IOC / IMarEST Western Australian Marine Science Postgraduate Award, Australian Marine Sciences Association (AMSA) Allen Award, the Janice Klumpp Award (UWA), an Australian Coral Reef Society Award, and the Oxford University Press Prize for best marine ecology presentation at AMSA 2008. More recent work supported by fellowships from the Japan Society for the Promotion of Science (JSPS), focusing in part on isotope dynamics in captive and wild whale sharks, has led to the development of an enhanced approach for quantifying foraging specialization in wild populations of a range of enigmatic marine species. With the support of JSPS, the Sumitomo Foundation and the Nissei Foundation, Dr Wyatt is also applying new technologies and approaches to the ecological exploration of deep water ‘twilight’ reefs, which represent a new frontier in coral reef oceanography and ecology and have important global implications for reef preservation. He is a registered expert for the Japan International Collaboration Agency (JICA) and a participant in the JICA-funded “Coastal Ecosystem Conservation and Adaptive Management (CECAM)” project in the Philippines and the US-funded Long-Term Ecological Research (LTER) coral reef site in Moorea, French Polynesia. He is also active in the international isotope ecology community, hosting and chairing the 10th IsoEcol conference in Tokyo in 2016, the first to be held in Asia. 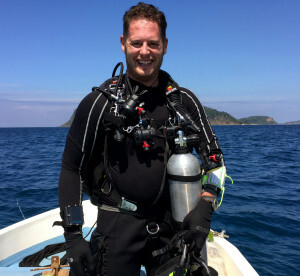 Dr Wyatt is an accredited commercial and technical diver and has led academic and commercial field research in a variety of marine ecosystems worldwide, including in Australia, East Timor, French Polynesia, Japan, the Philippines, Mexico, Taiwan, and the United States. He publishes in, and reviews for, top international journals in the marine and oceanography fields, including Coral Reefs, Ecology, PLoS One, Limnology and Oceanography, Marine Biology, Marine Ecology Progress Series, and the US National Science Foundation. Reviewer for: Aquatic Invasions, Biogeosciences, Bulletin of Marine Science, Comptes Rendus Biologies, Coral Reefs, Ecology, Environmental Biology of Fishes, Estuarine Coastal and Shelf Science, Frontiers in Marine Science, Food Webs, Geophysical Research Letters, Hydrobiologia, Isotopes in Environment & Health Studies, Journal of Oceanography, Journal of Sea Research, Limnology & Oceanography, Marine Biology, Marine Biology Research, Marine Environmental Research, Marine Ecology Progress Series, Oecologia, PLoS One, Royal Society Open Science, Scientific Reports, U.S. National Science Foundation (NSF). 2018 – 2019 Can internal wave-induced cooling save corals? Experimental verification of bleaching relief . Sumitomo Foundation, Environmental Research Grant (住友財団環境研究助成). 2017 – 2018 Elucidating jungle-to-reef connections using state-of-the-art chemical tracers: Towards harmony between human activities and the pristine environments of Iriomote-jima, Japan. Nissei Foundation, Grant for Environmental Issues Research (Young Researcher) | 環境問題研究助成 (若手研究). 2016 – 2017 A refuge for coral reef biodiversity: trophic function and reproduction in the twilight zone. Sumitomo Foundation, Environmental Research Grant (住友財団環境研究助成). 2015 – 2018 Development of a novel approach to understand the environmental drivers and trophic responses of deep water (mesophotic) coral ecosystems across the Ryukyu Archipelago. JSPS Grant-in-Aid of Scientific Research (KAKENHI), Challenging Exploratory Research (挑戦的萌芽研究). 2015 – 2017 Oceanographic drivers of coral reef biodiversity hotspots and climate change refugia using novel biomarker approaches. Japan Society for the Promotion of Science (JSPS), Grant-in-Aid of Scientific Research. 2011 – 2013 Source-sink dynamics of organic matter on coral reefs using advanced biomarker techniques. JSPS Grant-in-Aid of Scientific Research. 2008 – 2011 Morphological, behavioural and environmental controls on coral feeding: the effect of flow conditions inferred from stable isotope variation. The University of Western Australia. 2008 – 2009 The influence of biological oceanography on coral reef biodiversity. Wildlife Preservation Society (Australia). Nakayama, K., Kiyoki, S., Ishikawa, T. and Wyatt, A.S.J. (2005) Mechanism Responsible for Front Around Tokyo Bay Mouth. Japan Society of Civil Engineers Annual Journal of Hydraulic Engineering 49: 1291-1296 [in Japanese]. Wyatt, A.S.J. (2018) New approaches for exploring coral reef structure and function: Understanding and preserving a globally threatened ecosystem. Nanyang Technological University, Singapore, 7 February. Wyatt, A.S.J. (2017) Enhancing multi-tissue isotopic insights into foraging specialization by quantifying growth and nutritional history in elasmobranchs. In: Sato, K. (ed) 第3回 研究者交流座談会軟骨魚類の生理学・繁殖学研究の発展にむけて| The Third Researcher Symposium on Elasmobranch Physiology and Reproduction: Towards overcoming research challenges. Okinawa Churashima Foundation, Nago, Okinawa, Japan, 1-2 Decenber. Leichter, J.J. and Wyatt, A.S.J. (2017) Internal wave dynamics and the ecology of coral reefs in the Western, Central and Eastern Pacific: A context or collaborative research. Institute of Marine Biology, National Sun Yat-sen University, Taiwan, 13 October. Wyatt, A.S.J. (2015) Into the twilight zone: Approaches for understanding the environmental drivers and trophic responses of mesophotic coral ecosystems. The 18th Annual Conference of the Japanese Coral Reef Society. Young Scientists (若手会) Mini-Symposium. Tokyo, Japan. 26-29 November. Wyatt, A.S.J. (2014) Stable isotope approaches for understanding the trophic ecology of elasmobranchs focusing on feeding and aggregation of planktivores. In: Sato, K. (ed) 第1回 研究者交流座談会 軟骨魚類の生理学・繁殖学研究～諸課題とその克服にむけて | The First Researcher Symposium on Elasmobranch Physiology and Reproduction: Towards overcoming research challenges. Okinawa Churashima Foundation, Nago, Okinawa, Japan, 14-15 June.